Back in August (http://crackberry.com/blackberry-app-roundup-august-6th-2010-win-1-10-copies-durak) the weekly roundup told you about a free game called Hangman by Spice. This app brings the classic word guessing game to life with vivid graphics and an easy to use interface. Players can choose from an assortment of categories/themes (Kids, Places, Movies, Mix, etc. ), add new ones and can select the level of difficulty (Relaxed, Thinker, Maestro, Ultra) which should keep you occupied for quite awhile. 6 New themes - Soccer, Tennis, Politics, European Places, Basketball and Cricket. Exciting new 'Ultra Mode' - think you are a Hangman Pro, try out this mode and let us know. A fresh new theme - 'Music'. Two themes (Kids & Places) now come with special sub-themes. 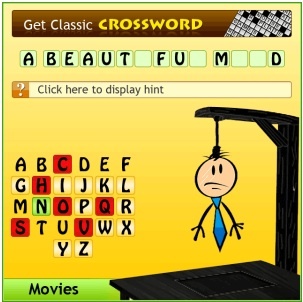 Hangman now learns as you play and adjusts the difficulty level of words automatically. Hangman is available for free through BlackBerry App World from the link below.